We use Blendtec and Vitamix blenders on a daily basis. We also give workshops on improving your health with better nutrition and how to get the most out of your blender investment. Worth every penny, the high cost for either blender is pretty much the same. Both are great but which is the best blender for YOU? 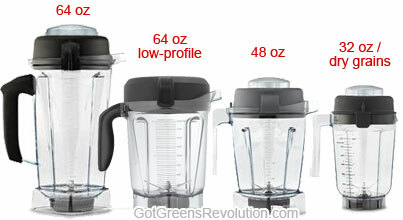 Need more details on Vitamix model differences? Want the skinny on different Blendtec blender features? Buy the RIGHT blender for YOU. If at any time you have more questions or need more help please ask below in the comments or contact us directly, we are at your service. In Blendtec Vitamix comparisons, consumers report both are incredibly powerful blenders. They both can easily crush ice, make hot soup, blend nut butters, grind seeds, puree fruit and a whole lot more. They are also the best blenders for making green smoothies. We choose to put too much weight on advertised horsepower of these blender for a couple of reasons. 1) Manufacturers advertise “peak horsepower” which is not a true indication of blending power. Peak horsepower is a measurement of a single instance of power output under a certain condition resulting in the highest power output possible. 2) Horsepower can be measured and reported using different methods and is therefore not the best value for comparison. 3) True blending performance is dependent upon more factors than just raw power output. Compared to other blenders, both Vitamix and Blendtec have more power and torque to effectively break-down cell walls and blend any food product. For the most part differences in their power are negligible. Speed: Vitamix variable speed control has a range of 500 to 37,000 Revolutions per Minute (RPM), allowing for more control at slower speeds. Most Blendtec blenders come with preset speeds, 6 to 10 depending upon the model; the Designer 725 has a 100-speed touch slider. Chopping: Neither blender is designed specifically to be a good chopper. Although, in comparing Blendtec to Vitamix, the low speed variable control of the Vitamix does allow for better chopping results. The Blendtec 725 comes real close with its 100 speeds. Practice with the pulse feature can result in very satisfying results with any model you choose. both blenders are loud. Some models are louder than others. As for which one is “louder”, it all depends upon the specific model as sound level can vary a lot. The » Blendtec Pro 800 is the absolute quietest. Both of these blender brands are built to last and have the best warranty of all household blenders to back it up. They go far beyond the typical 90-day or 1-year warranty of regular blenders that so commonly fail shortly after the warrant expires. Vitamix set the standard in the industry around 1999 with their 7-Year Full Use warranty. Blendtec’s warranty changed in 2014 to a full 8-year warranty (10-year for the Pro models), thereby becoming the best warranty in the industry. The new Vitamix Smart System blenders now have a 10-year warranty to match. Extended warranties are available direct from both companies at an additional cost and on occasion club stores such as Costco and Sam’s Club offer warranty extensions as a promotion. The Vita-mix Corporation has been making performance blenders for over 80 years and Blendtec has been making blenders for the home for over 30 years. These blenders are made to last and it is not uncommon to learn about customers that have been using their blender for 10+ years without an issue. Both companies are US based and have the majority of their product manufactured and assembled in the USA. Both companies are known for excellent customer service and honoring their warranties without hassle. Containers: All current blending containers from both companies are BPA-Free copolyester plastic with volume measurement marks. These containers are light-weight, very strong and quite difficult to break. Glass blending jars are NOT an option with these blenders. This is primarily due to safety; the power and force generated by these blenders could easily break glass, and for their size, glass containers would be extremely heavy. Blendtec TWISTER JAR SALE! – get it » HERE! In addition to the dry grains container, Vitamix offers a 48oz container as well as a 32oz wet jar. The 64oz container that comes with the Vitamix Classic Series is 13.4 inches tall. The biggest complaint about Vitamix tends to be that this container is too tall to store the blender on counter-tops. Vitamix addressed this issue with the low-profile 64oz container that comes standard since the release of the Next Generation G-Series blenders. This new container is shorter (~10 inches) with a wider base so it fits under most, but not all, cabinets. The Ascent Series and G-Series come with the more efficient low-profile 64 oz container. See our » Vitamix 7500 Review for more information. Blendtec’s most popular blending jar offered is their Wildside+ jar with a fifth side added to their square jar design and a 4 inch blade. Also offered is the small Blendtec Twister jar. 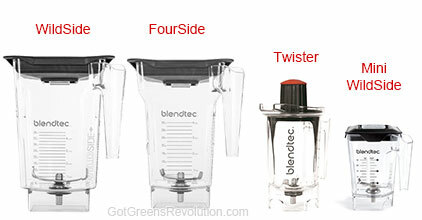 The Twister jar is by far Blendtec’s greatest improvement allowing for small volume blends. See more about the Twister jar. While both blenders’ standard containers are advertised as “2 qt”, there is a notable difference. All Vitamix blending containers are UL rated to blend at capacity – their 64 oz container can blend a full container’s worth of food. The Blendtec jar can have difficulties operating at full capacity (WildSide Jar ~90 oz); Blendtec recommends filling their containers 1/2 full for optimum efficiency. Vita-Mix states you can fill them to the maximum volume and blend without issue, although it really depends on what you are blending. We have been successful running Blendtec with nearly full containers, with the WildSide that holds ~90 ounces that equates to about 64 ounces. Blades: Blendtec blenders have a 2-prong, dull Stainless Steel blade. Vitamix blenders have a 4-prong Stainless Steel, 2 dull hammermill blades and 2 cutting blades. Both of these blades are engineered so they will not need replacing when used as recommended. Vitamix containers, except for Self-Detect containers, come with a rubber spill-proof vented lid with a center plug that can be removed to add ingredients while the machine is running and to make use of the tamper. (The new Smart System Self-Detect container lids no longer are rubber, they are clear plastic.) These lids have a “locking tap” that snaps on the lip to keep the lid on securely for blending. Blendtec blending jars come with a square vented Gripper lid that presses in place. It also has a center plug for adding ingredients. A minor “flaw” in the Blendtec lid design is that it doesn’t stay on as securely. Some customers have complained that the lid pops off when blending if left unattended. This occurs most often when filling the jar too full. Every Vitamix container comes with a tamper. Blendtec containers do not come with tampers – their claim is that “they don’t need them”. For more information see tamper details. Both Vitamix and Blendtec are easy to use but their controls make the difference. Operation is different depending upon which blender you choose. Vitamix offers manual control over your blending pleasure with its variable speed dial vs Blendtec’s buttons, or slider, to cycle through their multiple speeds as needed (available speeds now vary with most every new Blendtec model – see our Blendtec Model Comparison). Blendtec is a microprocessor controlled machine with digital display to keep track of blending times and cycles. Blendtec is best know for its Smart-Touch Tec-nology™. This allows you to “push a button and walk away” to have the blender run through a hands free automatic program cycle that stops when completed. (We don’t recommend actually walking away from the blender). While the Blendtec program cycles are very handy for some applications, we sometimes find the need to continue blending after the program completes to finish the job to our satisfaction or the cycle runs longer than what is needed to do the job. All Blendtec blenders also offer manual control as well for complete control. Higher cost Vitamix models such as the 750, and Ascent Series add program cycles to their operation. We find that the Vitamix program cycles are not as effective as Blendtec’s. Your Vitamix will continue to run until manually shut off, when a cycle ends, or until the thermal protection kicks in to prevent overheating. Blendtec will automatically shut off after a maximum of 90 seconds of continuous blending (or when the chosen program cycle ends whichever is less). For such a small part of the blender, the tamper has created a lot of discussion and debate regarding Blendtec vs Vitamix. Every Vitamix blender comes with a tamper to assist in blending solid and whole (uncut) foods without stopping the blender. The tamper is generally not needed for most applications but can be extremely helpful when chopping, making frozen entrees, nut butters and thick puddings. With the Blendtec blenders, sometimes additional liquid is needed to blend completely without stopping the blender to adjust the ingredients. The introduction of the Blendtec Twister Jar gives Blendtec owners the ability tmake thick purees and small volume dishes with ease. With its unique “twister lid and tines”, that function similar to the Vitamix tamper, food can somewhat be directed into the blades while blending. Which blender makes flour and does dry blending? Do you need a Vitamix Dry Grains Container? In our blender reviews and demonstrations we get a lot of questions about what the difference is in how these two blenders grind grain and make flour. We have done a lot of seed and grain grinding using all blending containers (Blendtec Fourside/WildSide, Vitamix standard “wet-blade” and Vitamix “dry-grains” container) to find how they truly compare. Blendtec and the Vitamix Standard container can blend dry ingredients. Both blenders have no issue with grinding large amounts of nuts or seeds, such as flax or sesame, although we generally prefer our dedicated coffee grinder for those tasks. The Blendtec jars and Vitamix standard “wet blade” containers can grind wheat berries pretty well. The flour appears identical in texture and consistency. Our tests reveals that it takes slightly less time to grind the berries with the Blendtec if you are blending more than 2 cups at a time and the temperature of the flour is lower. Also, sifting the flour will reveal that the Blendtec does grind the flour slightly finer. The Vitamix Dry Grains container appears to do a better job of grinding. In a shorter amount of time the flour is a little finer with a more consistent texture, and did not clump in the corners like it does with the Vitamix standard container. The Vitamix dry-blade is designed to produce an “opposite vortex” which evenly pushes the flour up the sides as it grinds, rather than pull ingredients down to the center. Conclusion: it doesn’t matter which blender you choose, no additional container or blade is required for either blender. If your plans include occasional grain grinding, both the Blendtec and Vitamix Standard will do a great job. But, if you plan on doing a significant amount of grain grinding then the Vitamix dry grains container (Vitamix Super or Vitamix Deluxe) would be a wise investment or having dedicated Blentec Fourside flour container is a good idea. The Blendtec Kitchen Mill is designed specifically for grain processing and does a superior job compared to any blender we have experienced. Over time blending containers become cloudy and more opaque from grain grinding. Both Blendtec and Vitamix recommend a dedicated jar for grains for this reason, because of aesthetics. Which one makes the best smoothie? Both blenders do an excellent job at turning out delicious fruit and vegetable smoothies. There is no question about that. In the great Vitamix/Blendtec debate, there is no need to be concerned whether or not either blender can perform. We’ve used our Blendtec blenders thousands of times (they include a digital usage counter) and have found the program cycles alone do not always complete the blending to our satisfaction – but fear not, as every Blendtec offers manual speed control over your blending desires. 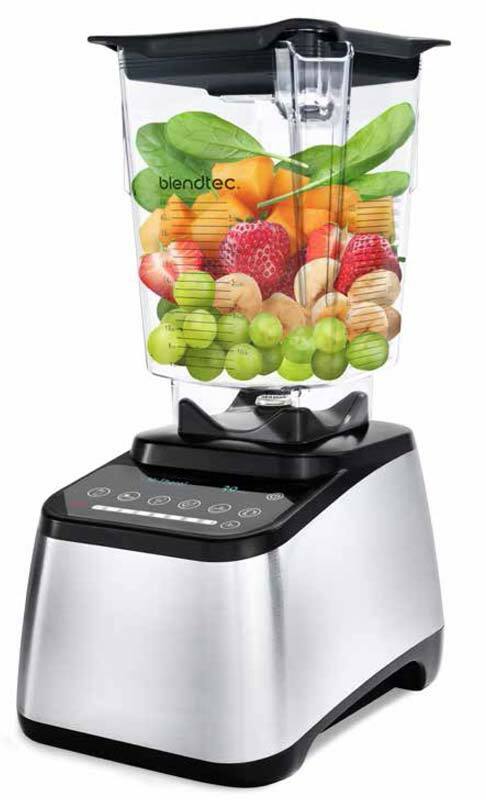 For common blends and fruit smoothies the Blendtec program cycles are a great advantage. For specialty blends and green smoothies packed with greens it is sometimes necessary to do additional blending after running the Whole Juice cycle. We found the same results, even more so, with the Vitamix Professional Series program cycles. They work okay for simple smoothies but they tend to run too long and do not have a satisfying result with green smoothies. With manual control, Vitamix (both the 5200 and 7500) consistently makes creamy, super smooth green smoothies without the need of the tamper no matter how much greens we pack in the container, but it takes practice. Blendtec’s newer models do a much improved job of creating super-smooth green smoothies as compared to their older models. Both the Blendtec and the Vitamix process food sufficiently to break down plant cell walls. This makes more nutrients available for use in your body. A common question by many is “can it juice?“. While both blenders make incredible smoothies, it is important to note that they are not “juicers”. What they do make is what we call “wholefood juice“. The important difference is that Juicers extract the liquid from ingredients by removing all the fiber and blenders do not remove anything from the whole food so you get all the natural fiber – thus a “wholefood juice”. If you truly want to make juice without the fiber in your Vitamix or Blendtec, you need to take an extra step after blending. You have to strain the wholefood juice to remove the fiber and pulp. While not as effective as a juicer, you can accomplish this using cheesecloth or a nut milk bag. If you plan on juicing a lot then you should consider a quality juicer – see the juicers we recommend. Unlike general kitchen blenders, neither the Blendtec nor Vitamix have an easy option to remove the bottom blade housing to access the jar for cleaning. They both are easy to clean but Blendtec is easier. The 2 prong blade and smooth square design of the Blendtec jars make it easier to remove your blended goodness and clean than the more narrow, 4 prong blade Vitamix design. The Vitamix New Generation low-profile container is wider and results in easier access than the taller containers but is still not as easy to clean down near the blades as Blendtec jars. Clean up is easy by putting in some hot water with soap and blending. A little hand washing can finish up the job if necessary. The most important factor for easy clean up is to wash your container immediately after use. Blend, wash, and done. *Dishwasher machine use: some readers have shared that they put their containers in the dishwasher to clean. Blendtec states that it is okay to put their jar in the dishwasher while Vitamix states that you should not. We recommend that you don’t put either Blendtec or Vitamix containers in the dishwasher – continual dishwasher use will compromise the seal and bearings of the blade housing over time due to extreme temperatures and detergents If you have older containers that are not BPA-Free they will out-gas. We have had Blendtec customers tell us that their dishwasher had damaged their containers, which is NOT covered under warranty. If you risk it, place them on the top rack. Dimensions 20.5" x 7.25" x 8.75"
17.5" x 7.7" x 9.4" 11" x 8" x 17" 15.5" x 7" x 8"
Bottom Line – Which blender is better for YOU? No matter which brand you chose to buy – you will own a top quality blender! Which blender do you Choose? BLENDTEC or VITAMIX – Why? Please LIKE, and Share your rating and experience. I am in the process of buying a blender, right now it is between the vitamix 750 professional model or the blentec 800 model. Which one would you recommend. I will be doing green and fruit smoothies on a daily basis plus grinding and cooking …. Both the Blendtec Professional 800 and Vitamix 750 are great blenders and will perform very well doing fruit and green smoothies as well as grinding and other tasks. The 800 is a more powerful, comes with a 10-year warranty (3 more than the 750) and includes Stealth Technology making it the quietest, most powerful, performance blender for home use. The Pro 750 is Vitamix’s finest classic offering, has great manual control with a few decent blending programs. Choosing between the two is difficult though I would recommend the pro 800 model over the 750, especially if you see yourself making use of the blend cycles. Once you experience the sound dampening of the enclosure and stealth design you will be very pleased. Do you remember the old TV sets that had a dial for tuning. “If you don’t ask you parents.” The dial was easy to break and you were always adjusting to get the exact frequency for the channel if not set just so it was fuzzy. Solid state digital TV’s were the solution. Can you imagine trying to get all of the Cable channels we have now with a dial? Blendtec = Solid state digital. Interesting analogy… though it doesn’t really work. There is no frequency involved in a variable speed. It’s always “tuned in” at whatever power/speed it is set to – virtually unlimited speeds to a point. I have owned a vitamix for 8 years and used two to three times daily in that time. The bearings are beginning to fail and as I live in Canada it is probably cost prohibitive to ship it away. I was in bed bath and beyong a couple of days ago and noticed a dramatic drop in the quality feel of the dials and switches on the new vitamix and not really all that interested in the ascent models. I am looking at the blendtec 800 professional as a replacement . Do you think the large wild side will explode on me as I will be packing it with plenty of good stuff or have they improved on this since your review. I’m sorry to hear your Vitamix is wearing out. It must have seen a lot of good use to wear out. I’m guessing you have either a 5000 or 5200? An 8 year old has passed its warranty length but I do want to let you know about a couple of options to consider. You wouldn’t necessarily need to send it to the US as Vitamix does have a warehouse/shipping center in Canada. Also, Vitamix does have a trade-in program where you could get $150 for your old Vitamix on a new purchase. More info here. I hear you that you don’t care for the Ascent Series but have you seen the 7500 or 750? Blendtec blenders have come a long way. The Professional 800 is an excellent choice. It has become our most used blender in our kitchen, mainly because of the sound enclosure (love the nearly silent volume by comparison). Their WildSide+ Jar with its ridges and improved gasket can handle pretty much anything. The total volume of the Jar is 90 ounces and we personally have had no issues getting 4 pints (64 ounces) of green smoothie out of it. Any more than that and it can become difficult to blend, not because of power but because of cavitation (air pockets) with thick or frozen blends. I trust that answers your question. Please let us know if you have any other questions. Which one tends to have less problems. Thank you for your help. I find it all very helpful. It takes alot of hard earned money to be healthy. You have chosen two great models. Either one would be a great choice to meet your needs. The main difference is that the Blendtec 675 has pre-program cycles which can be very helpful (and is currently on sale now ). The one thing that may make the difference is getting it under your cupboards. The Blendtec total height is 15.6 inches while the Vitamix is 17.5 inches; depending upon the space below your cupboards that ~2 inches could make a difference. We will never buy another Vitamix and I truly regret recommending to so many family and friends who ended up purchasing Vitamix blenders over the years. I’m actually getting ready to go to the store and buy a Blendtec when I am done writing this post. We bought a Vitamix 9 years ago and loved it. We made smoothies regularly and it always did the job. Early on we had a minor problem with the container and Vitamix shipped a brand new one, quickly. It was nice to see a company standing behind its product and being considerate of its customers time and efforts. After that, 2-3 more years of smoothies and many more recommendations to friends and family. Unfortunately, as we approached the end of the warranty period we started having some real problems with the motor. We contacted support and shipped it to Vitamix. It was returned to us unchanged. When we contacted them to arrange for a second return for repair we were told that the blender was fixed when it left the factory (i.e. “You must have broken it” or “We don’t believe it is broken”) At that point we were out of warranty and out of luck. Despite the experience we decided to pick up a new 310 model from Costco. It was a total piece of junk. No exaggeration it bogged down quickerthan the magic bullet set we use for protein shakes. Still giving Vitamix the benefit of the doubt we went to Costco and exchanged the blender and unfortunately did not see any change in performance. I would recommend a blender other than Vitamix if my experiences are truly representative of the wider support experience and product mix. Thank you for your feedback Damian. Sorry to hear of your challenges with repair. Generally speaking Vitamix tends to go above and beyond to repair real issues with their blenders. While the Vitamix E320 & E310 is their entry level model, in our experience it is a superior blender to the Magic Bullet and one shouldn’t have any issues with protein shakes. I sorry to hear about you experience with your A2500. 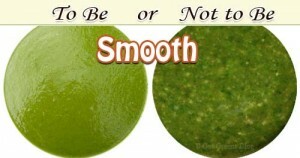 Sometimes it takes a little practice but you should not have any issues getting your smoothie smooth. How much are you making at one time? If can be difficult to blend less than 16-20 oz at one time in the 64ox container. Also see our texture tips for some additional help. If you really want to try the Blendtec 675, now is the perfect time. Right now, for a limited time, you can get it HERE for only $300 (an additional $200 off with free shipping) use code MIDSUMMER when checking out. I’m looking for a blender that will blend frozen fruit and ice without adding a ton of liquid. My blender now is a nutri bullet and it is okay but it leaves a lot of chunks which is not great for my daily smoothie bowls. I don’t want to spend a fortune but I would love a blender that will be long lasting. Help! Both Vitamix and Blendtec will handle frozen fruit and ice without adding a lot of liquid without any problems – and won’t leave lots of chunks. If cost is a major concern then I suggest you consider Reconditioned Vitamix or Blendtec. Right now the Vitamix Explorian is on sale for $219 with free shipping while they last. A great value!! If you would like further assistance please let us know. Thank you for providing such thorough information and open discussion about these blenders! I’d like to share my experiences with both Blendtec (the older, original model) and the Vitamix Professional 300 I purchased late 2016 and returned a few weeks later. Maybe this info will help someone else who is researching these products. My original Blendtec was loud but excellent in every other way. It produced smooth almond milks made from unsoaked almonds and water. Most blenders don’t do this well enough so you don’t find occasional pieces of almonds in your nut milk. A few years ago, I had enough money to invest in a better blender than the “refurbished” one and researched the newer models. When I spoke with Blendtec Customer Service, I was told that their blenders are designed to be used daily, and if you don’t use them regularly, the seals start to break down, and you can end up with manufacturing grease in your blended foods. I won’t use a blender daily, so this was a concern for me. If I have multiple jars (for grinding nuts, seeds, legumes in addition to liquids), I might use the motor unit frequently, but from what I understand, the concern is with the base of the jar, not the motor. After some more research, I decided to try the Vitamix Professional 300. It worked well for basic smoothies, but I didn’t use it for long. I decided to make hummus by blending hot, not boiling, just-cooked chickpeas with the other ingredients. Before I even started to blend, the liquid seeped out from the base of the jar. Vitamix claims you can make hot soup in their blender jars. On many cooking shows you can see chefs pouring boiling hot liquid into a blender to make sauces or purees. So I figured maybe there was something wrong with my blender jar. There is no little between the two. Either way, you end up with hot liquid in the blender jar! I was disappointed both in the Vitamix blender and in their response, but, to their credit, they did give me a full refund. So I’m back to considering a Blendtec. Maybe I just need to add liquid to each jar and blend for 10 seconds every day? Does anyone know anything more about this? Thank you for sharing your experience! I must admit I have not heard of a “requirement” to use your Blendtec Jar “regularly”. A couple of years ago Blendtec made major improvements to their seals. We have many jars and we certainly don’t use them all regularly but they are all used in rotation. We’ve only ever had one issue with a Jar and that was about 7 years ago when the gasket froze, the gears would not turn. Blendtec replaced it free. Other than that no issues with the 15 or so Jars over 10 years. How does the Blendtec Total at costco compare to the Blendtec Professional 750? Hello Jennifer, the Blendtec Total Blender and Professional 750 are very similar in power and function. 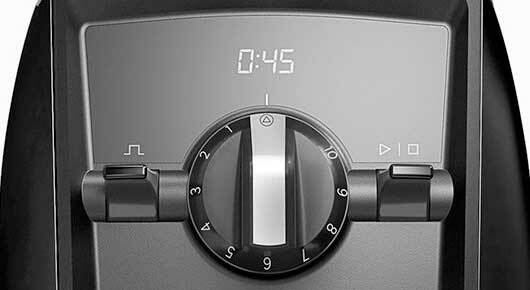 The main difference is that the 750 has the unique option to install it directly in-counter so only the controls and blending jar appear above your counter. So by comparison, it’s mostly about design/look and if you want to install your blender in-counter. See our complete Blendtec Guide for additional info and let us know if we can answer any other questions. Your comparison is so helpful and complete. Everyone kept telling me Vitamix is the best but I just bought a Blendtec Professional 800. I really don’t think there is any better blender. Thanks so much! You made a great choice, we love our Blendtec Pro 800 and know it is a great blender. I bought Blendtec Professional Series 750. Reading manual and checking online I was not able find any cycle selection for grinding wheat to very fine course. It talks about all different cycle but does not tell me which cycle I select. There is no pre-set cycle for grinding flour in a Blendtec blender. To grind wheat berries to a fine flour blend in a WildSide Jar: place 3 cups in the Jar and blend for 50 seconds on speed 9 or high. This should yield ~4 cups flour. If you are using a FourSide Jar then blend 2 cups of wheat berries for 50 secs on speed 9 or high. Let us know how that goes for you. I have Classic 570 model….I make smoothies often, my problem is I have to add so much liquid if not the food items gets stuck in the bottom and do not blend. Adding more liquid takes away from the flavour and unused smoothie. This is where I wish Blentec came out with a tamper. What’s your advice? the 570 should have no issues with blending a smoothie smooth. Are you using the smoothie preprogrammed blend cycle? Perhaps for your particular recipe that cycle doesn’t blend long enough. What volume are you blending? For consistent smooth results in the WildSide Jar you will need to blend at lease 16 ounces at a time and we recommend more if possible for smoother results. Also, you can check out our smoothie texture tips for making smoothies smoother. I am a single person looking to make smoothies and soups in small quantities. Over XMAS Costco had a Vitamix show and it looked pretty interesting so I dumped the model 5300 into my cart and bought it. I got home and did some research finding that the model 5300 container is not well suited to making small quantities and recommending the purchase of a 32oz wet container for an additional $100+. My first question is how does this 32oz container perform making soups and smoothies given its different blade configuration and size? I next noticed that this month Costco has a Blendtec Total Blender for the same $359 price including an additional Twister jar. How does this “Total Blender” perform relative to the models 625 and 725? Does the Twister jar perform sufficiently for use in small quantities making smoothies and soups or is it just for thick items? Before I answer your questions, first I would like to suggest that you use your 5300. Go ahead and make some smoothies and soups in the quantities that you want. See how the results are for the actual recipes and volume you want to make. That is ultimately the best way to know if it can do what you want. Costco will accept the return if it doesn’t perform to your expectations. The 32 ounce container makes great smoothies in small quantities and it can also do a good job at soups. The difference in blade size and configuration is negligible – its benefit is better efficiency with smaller quantities. The Total Blender performance is comparable to the 625 & 725. It is just an older model. It doesn’t have the new design with some of the sound reducing features and the programs are different, but you can count on it to perform as well. The Twister jar is fantastic for all small blends. It is not only limited to thick items. 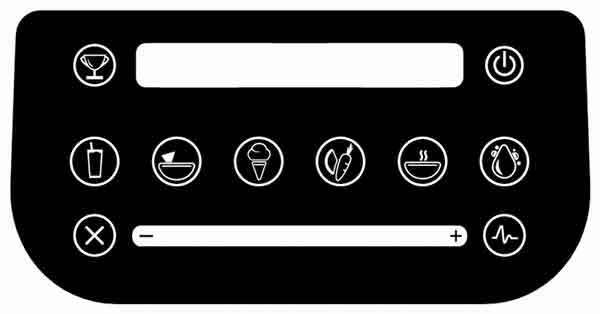 We make smoothies, ice-cream, dressings, and sauces all the time in the Twister. I hope that is helpful. Let us know if you have any other questions. I’m having a rough time deciding what to do. I use my Vitamix each and every day. 3 months ago my 12 year old dropped the plastic container and cracked it–totally not a Vitamix problem. I bought a new container and installed the old blade in it. Now it’s 3 months out of warranty and the metal blade assembly is somehow locked up. I’ve contacted Vitamix, they want me to buy a whole new container for $164. I am not gong to do that so I’ve ordered a blade only assembly but I’m wondering if I shouldn’t just sell my blender base and 3 month old container and buy something new. I really would like one that fits under the counter. When vitamix says “full use warranty” vs blendtec’s warranty what is the difference? I want something fully covered for everything. When I bought this Vitamix from Costco the box is stamped 5 year warranty. Now I see 7.
fabularburb, you didn’t say which model you have but considering your comment that you “would really like on that fits under the counter”, I think you have an classic C-Series with the tall 64oz container. If you are wanting a Vitamix to fit under the counter, then a G-Series (7500, 750, 300) would be your best choice. Not only a shorter height for under the counter (not quite as short as Blendtec though) but you also gain the additional advantage of a quieter blender. Of course it comes with a price so it may not be in your budget to upgrade unless you consider a refurbished. Regarding warranty, Vitamix and Blendtec have essentially the same policy with their warranties – they are equally great & extensive, and while Vitamix uses the term “full”, Blendtec’s coverage is the same (one year longer than Vitamix when buying new). If you purchased from Costco there are a few things to consider, some of their models do come with a 5 year warranty versus a 7-year of other models. Costco continues to have an amazing return policy and in most cases you can return your Vitamix to Costco, even past the manufacturer warranty. Check with your specific Costco to see if they will honer your return. Someone above said they agreed that the vitamix did a better job on smoothies. I may have over read where you stated that. Is either blender able to break down the cell walls better than the other for better absorption? We have been struggling for months to buy the best machine that has the most abilities, but they seem so close. I would say Im looking for the one that breaks cell walls down the best. As a 100% disabled veteran, and my VA nurse saying that my 8.0 AICs as a diabetic is good, its obvious they arent going to help me get better. If you can give thoughts on the blendtec extreme, and if its really any better than any of the others. From what Ive researched I think my options are down to vitamix 750, or 780 g series to avoid the black specs, or blentec 725, 800 or extreme. In the last 2 years alone Ive had to go though 3 surgeries from an artificial knee to reconstructed elbows. I just am not bouncing back anymore. I do not just have money to give, but a few hundred dollars difference isnt something that bothers me anymore, I would just like to have a chance to live with better nutrition. Please advise accordingly like this was your father fighting for his life, thank you. Billy, in the past when the Vitamix 5200 and the Blendtec Total Blender 4-side were the newest models, it was evident to us, and others, that the 5200 made smoother green smoothies (smoothies without greens didn’t differ). Once Blendtec introduced the WildSide Jar, and improved their blend cycles, their blending efficiency dramatically improved for green smoothies. As time went on and they improved their engineering and design with the WildSide+ jar and the designer series forward, the smoothness of the green smoothies between the Vitamix and Blendtec become indistinguishable. The Blendtec Extreme is a beast of a blender. When released in 2009, it was truly a new generation of blender power & performance for home use and today, it still remains the only home blender that requires a 20 amp circuit. Nowadays it isn’t that much better than the top Blendtec blenders and in fact, the Professional 800 has essentially the same power with more advanced features. The blender we use the most without a doubt is our 800 – we love the power, ease of use, and especially the sound box. As we say, these blenders are all fantastic and it’s ultimately about the features you desire. All will perform better than your “standard” kitchen blender. From what you’ve stated, it seems that power, performance and ease of use is important. If sound also matters, then I would recommend the Blendtec 800. But you can’t go wrong with any of the models you have listed as options. what about the teflon in vitamix.. as of may 2016? very disconcerting. excellent info and review. thank you! best on the web. for my needs, i’d choose vitamix, but very concerned re: the teflon and how they’ve handled it… knowing since 2013…. not addressing til 2015… from what i’ve read. shana, it is our pleasure to provide information and assistance. The “teflon issue” has been a big one (see the many comments in this article). In August 2015, Vitamix announced they had solved the problem and that all new containers would not have the “black flecks” issue. Since then there have been a few recent reports that new purchases had black flecks. Hello, I purchased a Blendtec a few years ago and have never gotten into the habit of using it regularly (or at all), my daughter was home recently and she happily made daily smoothies. Today, I went shopping at Costco and was enthralled (inspired) by a wonderful Vitamix representative/demo and purchased the C series 6500 as well as the smaller grain receptacle (for another $99- that i might return) as well as kale, spinach, beets, carrots, mangos, pineapple, bananas, blackberries, protein powder…! Can you tell me anything about this particular model ? Im thinking of giving the Blendtec to my daughter (I also have an unused Magic Bullet someone gave me!). How blessed you are to have the opportunity to experience both amazing blenders. The 6500 is a Costco exclusive new hybrid model to replace the 6300 (pro 500). It is essentially the same blender as the Classic 6300/pro 500 with a stronger, louder motor to accommodate the low-profile 64-oz container. It is a good option for those who want the advantage of the shorter container and a few (3) program cycles but can’t pay the extra for the much quieter 750 G-Series with additional program cycles. Geneviève, it comes down to personal choice. Choosing between these great blenders can be difficult. Many have decided against the purchase of a Vitamix because of this issue while others still make their purchase knowing. Ultimately, you need to consider your options and determine your comfort. Question and comments:This site is excellent, thank you. I tried the Pro 500/6300 Vitamix machine (told those two models are the same machines depending on where you buy it from) and was very upset by my containers both the tall 64 oz and 48oz wet containers presenting with the black specks. Unfortunately I wasn’t made aware of this flakey problem until one year later realizing that I and my family consumed a lot of those little critters in the many smoothies I made once or twice a day. I was not a happy camper no matter what Vitamix said about it not being harmful in any way and their containers approved by the FDA. Teflon is NOT safe to injest. One just has to read all the reliable posts on it! Yes, they did replace them for free. Of course they would have to. Better than all the law suits that might ensue! Also I wasn’t happy with the presets that model had given one still had to blend smoothies further by using the variable speed dial to complete the drink as a “smoothie” My daughter took it off my hands. I still wanted a Vitamix just one that lived up to its reputation. So I then decided after researching once again, purchasing the newer G series model 7500 that does not have the 3 presets. It is a newer generation model with the wider/shorter 64 oz container. Unfortunately it stil doesn’t fit under my kitchen counter! I already had the 48oz wet container and Vitamix staff told me it would work well with the 7500 model. However, the tall 64 oz wet container would not albeit other demonstrators who know Vitamix machines told me it definitely would work well with the newer 7500 machine.. Jury’s out on that one. Still not sure?? Well, I find the 7500 that has a stronger quieter motor (quieter?) and wider 64 oz container not very efficient. I use a lot of ice making my smoothies and it just doesn’t smooth blend very well. I find small pieces of ice, fruit etc. after blending for quite a long time and of course using my tamper constantly. Also you have to make an awful big smoothie so that 64 oz wider container is not appropriate for a one person smoothie. When using the 48 oz wet container it too didn’t seem to work as well as the Pro 500. I am wondering if I am imagining this or in fact others who have this model too feels it doesn’t do what it claims to do or takes much longer to do it. Confusing to me especially its costly price and having a stronger motor! If possible I would like some feedback. Thank you once again. Deena, thank you for your feedback, it is our pleasure to provide you with information. It sounds like you might need a little more time getting used to your new Vitamix 7500. It really should blend as well, or better, than the 500. The one caveat is with small volumes less than ~3 cups; the low-profile container does not do such small volumes as well as the taller 64-oz containers although your 48-oz container should perform just as well on your 7500 – even with small volumes. Regarding using the tall 64-oz container with your 7500, Vitamix does not recommend using it although we have found that it does work. But if you have the 48-oz and the low-profile 64-oz then you have the best of both worlds. Sandra, it sounds like your Blendtec may have an issue. You should call Customer Service to confirm if there is an issue. Had a Vitamix for years and enjoyed it. We now have a Blendtec designer series and can not believe how much better it performs! Like it so much we bought one for all of kids. How awesome for you AND your family mjb. Where is the best store to purchase either a Vitamix or Blendtec? This will be my first blender and I can’t afford to spend over $450…what do you recommend? Connie, there are many options to purchase Blendtec and Vitamix. There are some authorized retail stores, online merchants, as well as direct from Vitamix or Blendtec. If you are wanting to spend no more than $450, for Blendtec you have the option of any new classic or some refurbished. I would recommend the refurbished 625 for $399.99. As for Vitamix, your only option new would be a 2-speed turbo-blend (possibly the 5200 but that is $449 before tax) or refurbished blender. You can purchase refurbished direct or from Amazon. I hope that helps – let us know if we can be of further service. You can get an excellent Blendtec at Costco for about $350. (This is as of November.) It comes with 2 jars. It’s a Great deal! What would be the best blender to make almond milk? I don’t necessarily care about the smoothies, dips, ice cream etc. but as raw, organic almonds are really expensive, I would like to get a good blender to extract most of the nutrients/milk. If not Vitamix or Blendtec, which brand and model is recommended? Blendtec and Vitamix make fabulous almond milk and process the almonds better than other blenders. Most other blenders will preform pretty much the same making nut milks. I would recommend you look at a Cuisinart SmartPower, Cuisinart ReMix, Omega BL360, or KitchenAid 5-Speed RKSB157 – all around $100. Absolutely loved this comparison, thank you. I think I have decided on a blendtec 725 but am worried about the noise. It looks so much nicer and seems to be more modern than the vitamix. Am I making a mistake getting a blendtec because it is so much louder? Happy to help Jencee, thank you for your feedback. Both these blenders are loud, that’s simply because they are so powerful. In the past, Blendtec blenders were noticeably louder. but with their recent updates and innovations with their new Designer models, there isn’t a notable difference. If you choose a Blendtec 725 over a Vitamix because of the features it has and you prefer its design then don’t let noise level be a single factor to make your decision. If noise level is a major factor, you might want to consider the Blendtec 800 as it comes with Stealth technology making it the quietest performance blender made for the home.